I was invited to speak at the Boston Society of Architect’s Marketing/PR Network meeting yesterday morning. I’m grateful to Sandy Kane (from Acentech Inc.) and Abby Gillespie (from Perkins+Will), the committee co-chairs, for this opportunity. The topic of the morning was “Prepping for an architectural photo shoot”. The meeting was held in the Harbor Conference room of the BSA/Space on Congress Street close to the Boston Seaport area. We started off discussing what goes into planning and budgeting for an architectural photo shoot. 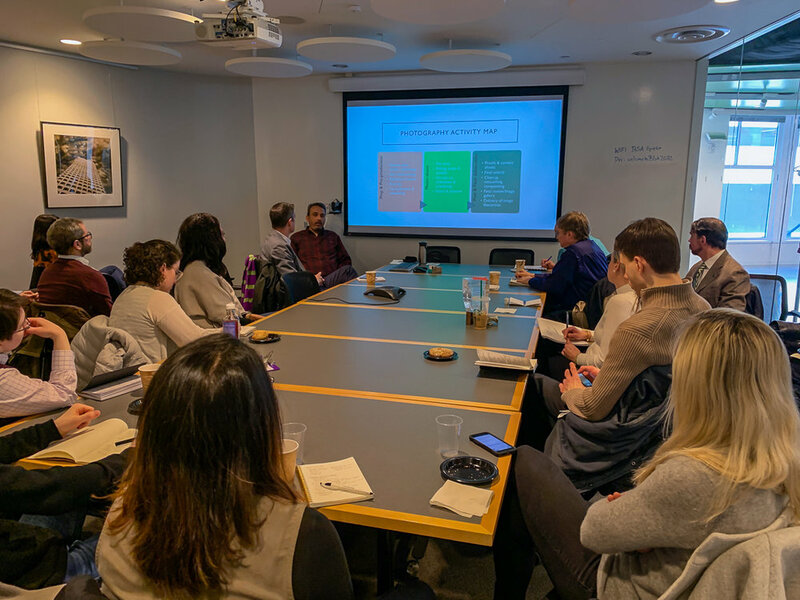 With roughly 25 registered attendees, we had an engaging and lively discussion about copyrights and usage, scouting and shot lists, and how architecture and design firms can involve their partners on a project to share the responsibilities and costs of an architectural photo shoot. And finally, we discussed what the different phases of an architectural photo shoot are. I listed out the activities that are involved in each of those phases and illustrated those with actual examples from some of my recent photo shoots. 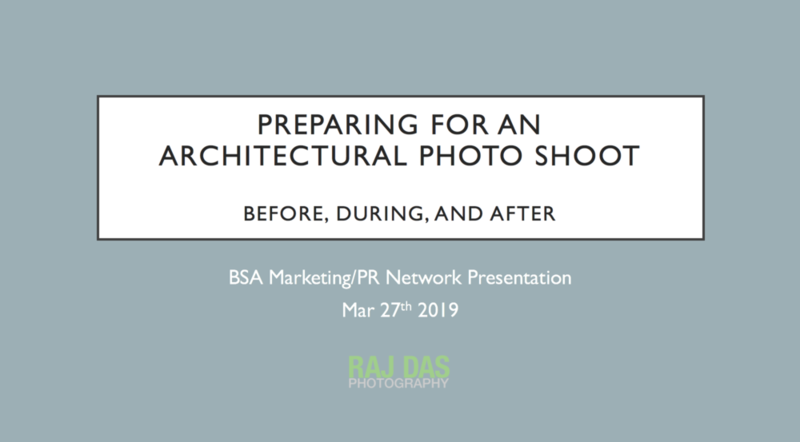 I really enjoyed this opportunity to step back from my daily life as a photographer, look at the overall process that goes into producing and successfully executing an architectural photo-shoot, and share that process, best practices and experience with a group of professionals from the architecture, engineering and construction (A/E/C) industry . It was wonderful to hear their perspectives and experiences as well.